Get industry-leading performance, durability and ease of use in a versatile cut-off machine that handles a wide variety of materials. 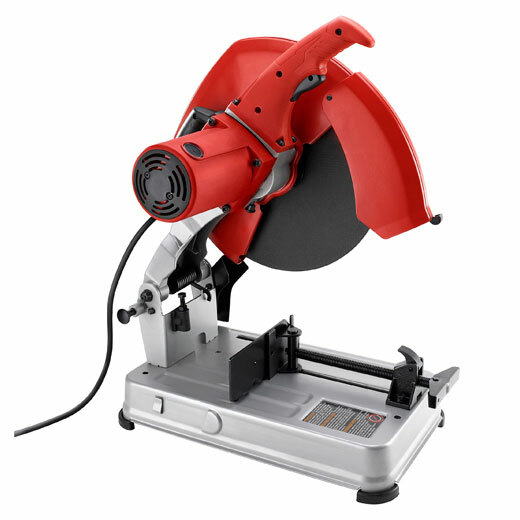 With a powerful 15-amp, 4.0 maximum horsepower motor and speeds up to 3900 RPM, this abrasive cut-off machine allows for fast cutting of drywall track in bundles, angle iron, conduit, pipe, channels, tubing and rebar up to a 5" maximum capacity. With an adjustable fence, it can make 45° miter cuts quickly and accurately without flipping heavy material. Large cutting capacity: Accommodates a wide range of cutting applications up to 5"